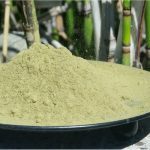 The AKA urges kratom advocates to contact their Senators today to oppose the SITSA Act (Stop the Importation and Trafficking of Synthetic Analogues Act). 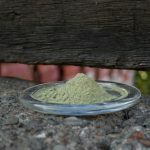 The act, designed to limit dangerous synthetic opioids such as fentanyl, would also give the Attorney General the power to ban natural botanicals such as kratom. On Friday, we asked kratom supporters to email their Senators to ask them to oppose the SITSA provisions in the House version of H.R 6. You responded with over 13,000 emails to Capitol Hill. Now we need to keep up the pressure! When prompted, please enter your phone number and the system will call you and connect you with your Senator. 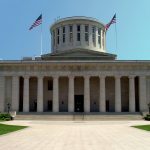 When connected, please let them know that you are opposed to the SITSA Bill and that the U.S. Senate must hold hearings and consider needed amendments to ensure a host of unintended and potentially harmful provisions are not part of a final opioid bill. We have provided several talking points for reference during the call. As always, please be polite and respectful. Repeat the process to ensure that you contact both of your Senators. Thank you for your willingness to help in the fight to protect kratom! Explain to the staff that you are calling to let the Senator know that you are opposed to SITSA Bill (Stop the Importation and Trafficking of Synthetic Analogues Act) because, without an amendment excluding kratom, SITSA will give the Attorney General unfettered power to ban kratom without having to rely on any science. Tell the staff the House is demanding SITSA be put back into H.R. 6 that was passed by the Senate without any Senate Hearing or input. Tell them you are strongly opposed to that demand from the House. 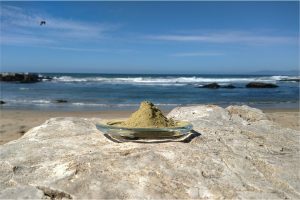 Ask them to go to www.americankratom.org for more information. Thank the staffer and the Senator for their service. 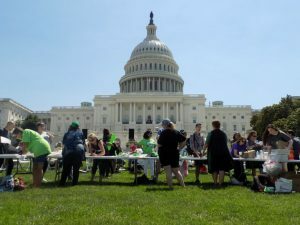 But SITSA would also give unilateral drug “scheduling” powers to the Attorney General’s office, allowing the Department of Justice to outlaw substances and set penalties without oversight. Under the Controlled Substances Act, a hierarchical system put in place by the Nixon Administration in 1970, there are five brackets for drugs based on their potential for abuse. Schedule I, which covers the most “dangerous” drugs with no accepted medical benefits, includes LSD and marijuana. SITSA would create a sixth group, “Schedule A,” which stamps a temporary ban up to five years—which isn’t “subject to judicial review”—on any molecule that’s chemically similar to a drug that’s already banned and that the DOJ fears is even slightly psychoactive. Any compound that merely resembles a banned drug and has “an actual or predicted stimulant, depressant, or hallucinogenic effect on the central nervous system” similar to a banned drug can be placed into the new Schedule A at AG Jeff Sessions’s discretion, which has many worried that SITSA could lead to a ban on substances like kava and, of course, kratom. Next PostNEW DANGEROUS DESIGNER DRUG HITS COCA ISLAND!